Hello everyone! 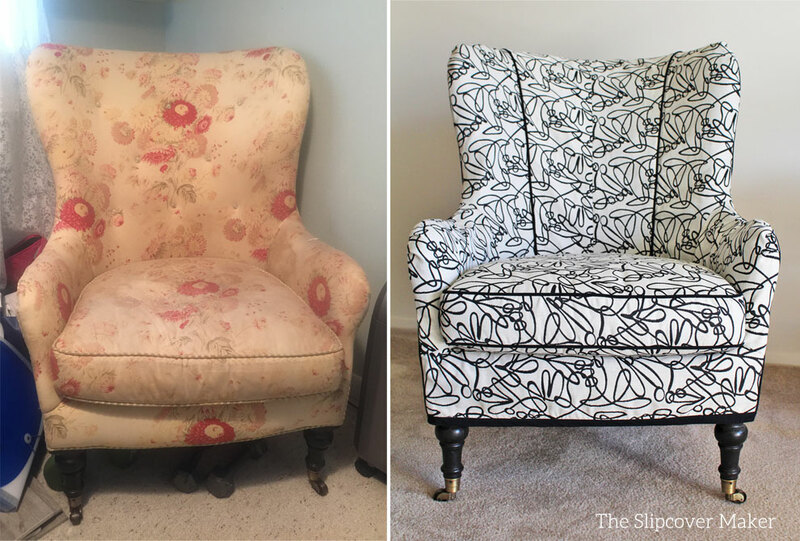 I’m kicking-off the new year with this fun slipcover makeover. It’s mod, happy and chic all rolled into one! 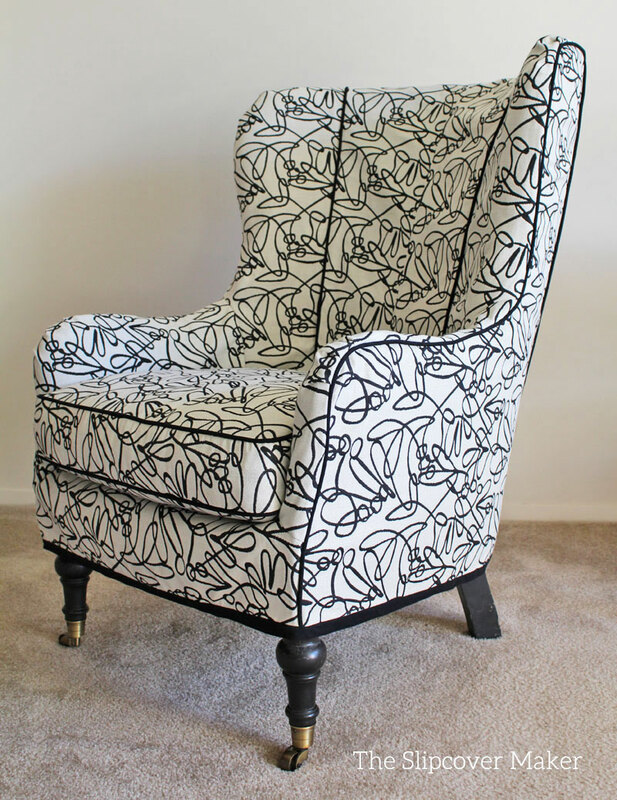 Nancy wanted to update her 12 year old pair of Arhaus chairs with an entirely new look. Her love for artful design drew her to this whimsical squiggle pattern by Richloom. 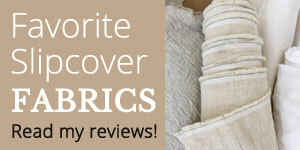 This fabric didn’t require matching, which is a plus when making slipcovers that have a lot of curved seams. I outlined the silhouette with black twill welt and banded the bottom. Transformation accomplished! This entry was posted in armchair slipcovers on January 7, 2018 by slipcovermaker.